It's your time to shine! The latest version of the singing game Let's Sing features cutting-edge artists like Rita Ora with "Anywhere", Shawn Mendes with "There's Nothing Holdin' Me Back", DNCE with "Cake By The Ocean" and also legendary classics like ABBA with "Mamma Mia" or No Doubt with "Don't Speak" are included in the track list. 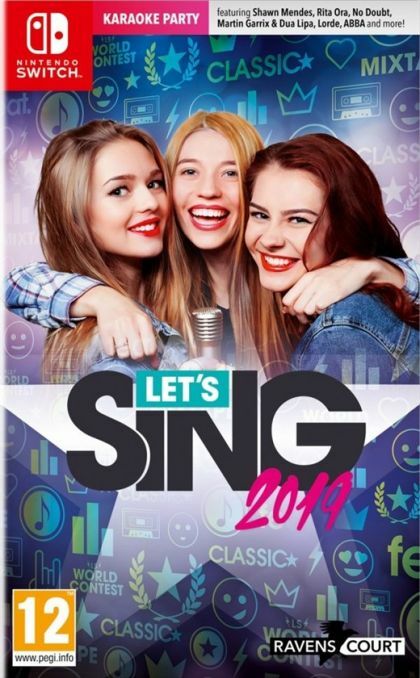 Also, international smashers like Martin Garrix & Dua Lipa with "Scared To Be Lonely", Lorde with "Green Light" and with 30 international tracks on the playlist, Let's Sing 2019 has something for everyone. Classic: Sing a song on your own or compete against your friends. Only those singers who hit the right notes can score the most points. Do you have the higher score?  You win! Mix Tape 2.0: Mix different Medleys together with this innovative game mode. Each mix is dynamically generated and thus guarantees a playlist that never repeats itself. NEW: Choose your 5 songs to create your own mix tape! feat. : The better you sing together, the higher is your "compatibility score". Not only can you sing with friends, but you can also team up with your idol in single-player mode.